Harman Professional Solutions has announced three new Soundcraft Notepad mixers. The Notepad-5, -8FX and -12FX are desktop analog mixing surfaces that include Harman signal processing, and USB I/O connectivity. Streamlined to meet today's audio workflow challenges, the new Soundcraft Notepad surfaces offer value and performance for podcasters, singer-songwriters and audio professionals who require small format mixing solutions. 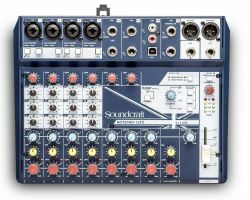 "Soundcraft Notepad mixers have a long history with musicians and audio professionals who need high-quality, small-format desktop mixing solutions, " said Scott Wood, Mixers Solutions Manager, Harman Professional Solutions. "The new Notepad generation maintains that trusted history, while adding legendary Lexicon signal processing and USB I/O connectivity, all at an entry-level price." 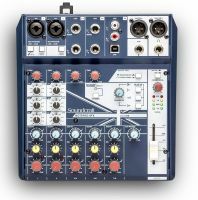 Soundcraft Notepad mixers include professional microphone preamps with excellent audio quality for a variety of uses, XLR combination jack mic/line inputs for easy connection with professional audio gear, and 1/4" balanced inputs for connecting keyboards, playback devices and more. 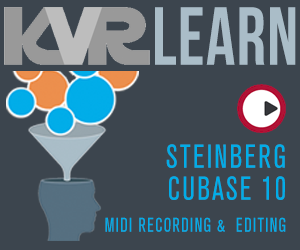 USB I/O connectivity enables easy recording and playback with digital audio workstations or video audio workstations. 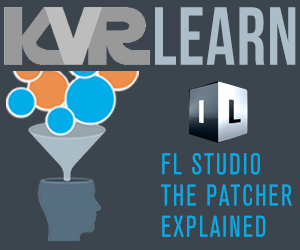 In addition, users of the Notepad-8FX and Notepad-12FX can also enhance their audio using Harman Digital Signal Processing (DSP), including Lexicon reverbs, chorus and delay with tap tempo control. Soundcraft Notepad mixers are designed for convenience and ease of use. A traditional channel strip layout provides fast and efficient access to desired channels and sends. Up to three EQs per channel are perfect for simple audio shaping on incoming audio signals. 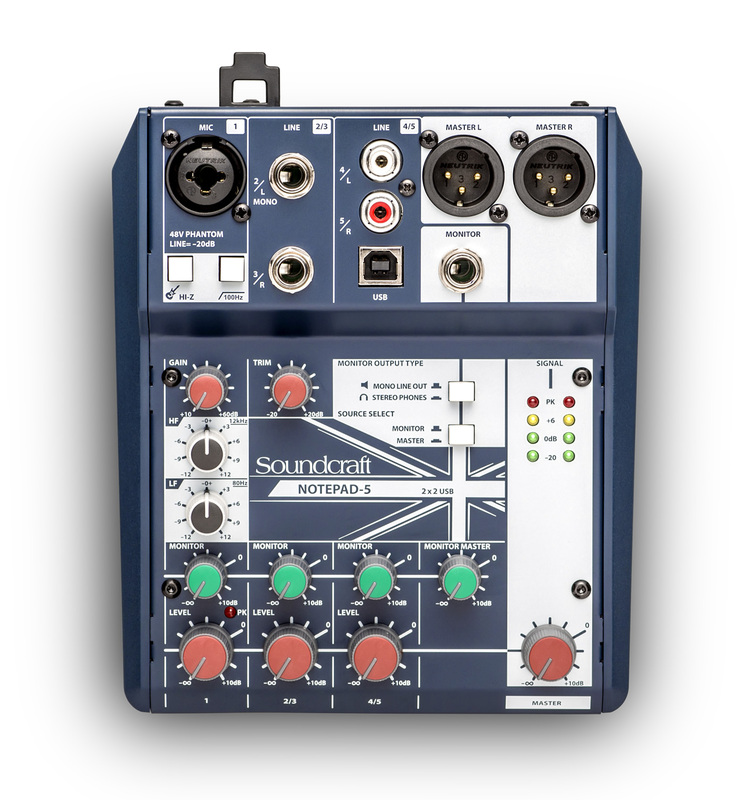 An Aux/FX send makes it easy to feed audio signals to external effects send or built in Lexicon digital processing. A master fader with LED metering provides XLR stereo output level control. A rotary headphone level provides simple control for master mix or aux output levels.